Washington : NASA's first asteroid-sampling mission OSIRIS-REx, which went into orbit around asteroid Bennu on New Year's Eve, has captured incredible photographs of the smallest ever celestial body to be orbited by a spacecraft. Launched from Florida in 2016, OSIRIS-REx spacecraft reached Bennu, an asteroid the size of the pyramid at Giza, on December 3, 2018 after travelling more than one billion miles through space. "The mosaic image of asteroid Bennu is composed of 12 PolyCam images collected on December 2 by the OSIRIS-REx spacecraft from a range of 15 miles (24 km)," researchers from the Arizona State University (ASU) said in a statement on Thursday. "The image was obtained at a 50-degree phase angle between the spacecraft, asteroid and the sun, and in it, Bennu spans approximately 1,500 pixels in the camera's field of view," it added. The team of scientists found that Bennu is a craggy ball, with some boulders the size of houses. They thought taking the sample return was going to be like plucking something from a football field. However, it is not. "We didn't know what it looked like, and that's called exploration," said Phil Christensen, Professor at Arizona State University (ASU). "It's going to be like landing between two parked cars in a parking lot," Christensen said. Bennu is not a solid rock. It's either porous or formed of a very "fluffy" - Christensen's word - material. This type of meteorite is so fragile, if you get it wet or touch it with your hands, it's ruined, said Devin Schrader, assistant research professor with the ASU. Interestingly, these meteorites contain water. It's not in liquid form, but it's in the minerals - up to 2 per cent in some cases. Bennu's parent body had significant interactions with water, said ," said Vicky Hamilton, a co-investigator on the OSIRIS-REx mission, Schrader said. 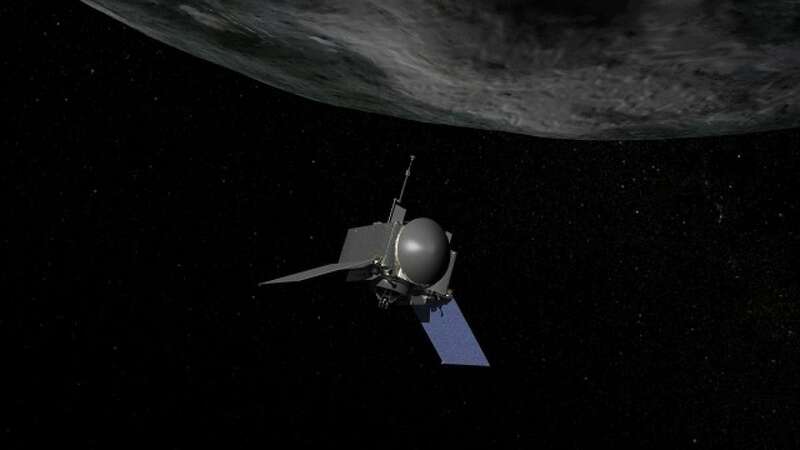 The OSIRIS-REx will begin science operations in late February.